My name is Patrick Healy and I’ve been writing comic book reviews for six year. Now that school’s out, I’m teaching my daughter writing and analytical thinking the way any red-blooded American would… by giving her comics. She broke her elbow last week but is determined to keep writing, typing one letter at a time. This week my daughter took an interest in a book she’s not been reading and I wanted to see how that changed her appreciation for the book. Please let us know what you think. Hi, my name is Keira Elise Healy and I am 8 years old. I am in 4th grade. I like comic books because they looked fun and my dad surely got me into it. The Power Rangers are the main characters of this story. 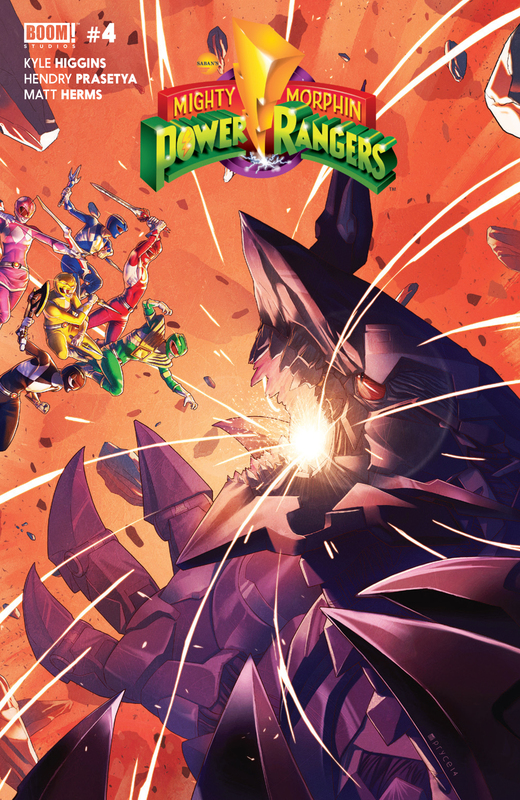 They are fighting the green zord, piloted by Scorpina. The Green Power Ranger was wounded and he was told to not to fight. He did fight and he got in to an argument with the Red and Black Power Rangers. Then a big, black robot that looks like Voltron showed up and said “I am going to destroy you”. I would like this book more if it was one big comic book. I would like it if I would knew what going on in the beginning of the story. I would also like it if there was more of the story than there is. I really liked Power Rangers because of the wonderful pictures. Jeez Louise, it’s so good. I also like the words that people say in this comic book. I like every single little word. Most of all, I like the Power Rangers. The reason why I like the Power Rangers so much is because of all their different colors. I would recommend this book because the author and the illustrator did a great job.